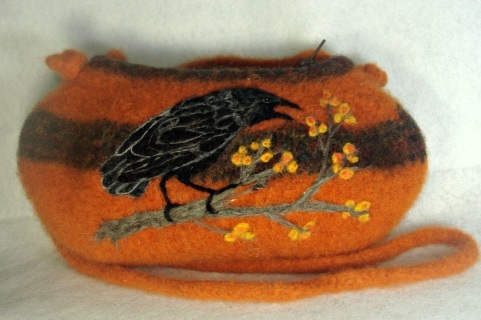 DESCRIPTION: This mysterious crow on a branch highlights a uniquely shaped tube felted purse. 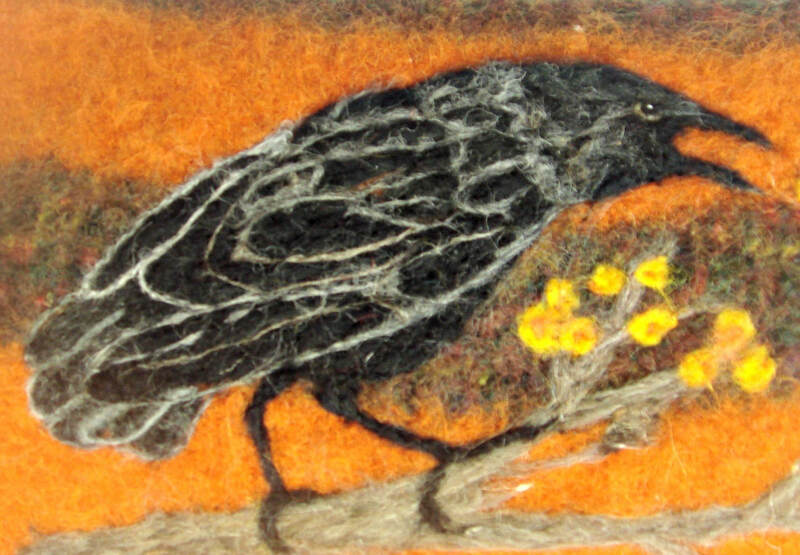 The needle felt art pops! 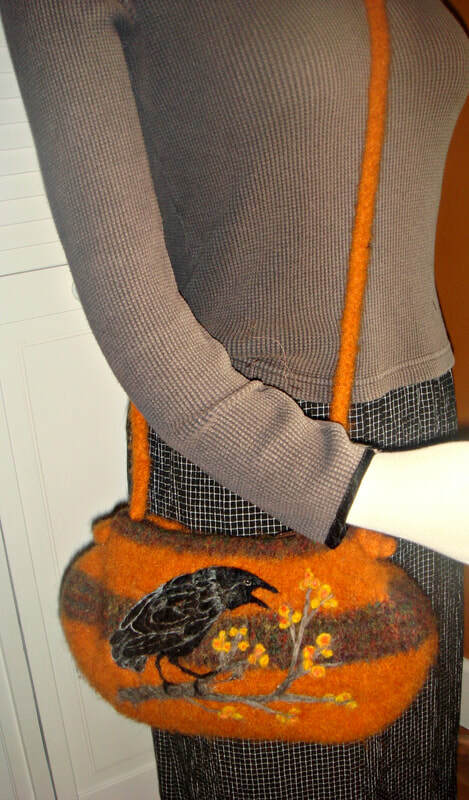 The bag closes with a zipper and has an inside pocket. The measurements are: 14" X 7" X 3"
The ADJUSTABLE strap has a long 27" drop but can easily be shortened. MEASUREMENTS: 14" X 7" X 3"